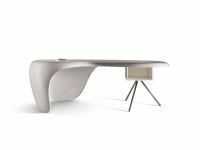 Design Office Chair XTEN from Pininfarina. The World's Best Design Office Chair! 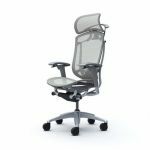 Studio Pininfarina, well known for their design work on supercars Ferrari and Maserati, have extended their design expertise to produce a top-of-the-line office chair Xten. The Xten, developed to the tune of $1.5 million, sees standards of technological and design innovation usually applied to premium vehicles. Design Chair Xten Pininfarina plays a leading role in executive offices. 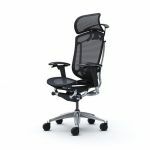 The current colour range makes Xten stand out from all other chairs offered in the marketplace. EVERYTHING about Xten is revolutionary. Technogel® - total comfort in seating. Armtronic® - advanced system for height adjustable armrests. Dynamic - a new concept in synchronized tilting. Dynatec - high-tech mesh for great comfort and freedom. Headrest - height adjustment system. Lumbar support ASPS– Active Support Positioning System. Xten Glamour Colors - Four, among them the famous Ferrari Red & Maserati Blue.